Give old furniture an inexpensive update! I’ve been a stay-at-home Mom for the past 6 years, but with my latest addition to our family, it brings a whole new meaning to the phrase “stay-at-home”. Lets be honest, I never leave my house. My son is 7 weeks old and pretty colicky and my four and six year old girls are busy with school and extra curricular activities. My day is generally filled with feeding an infant, laundry, making food, cleaning up after everyone and occasionally running my kids around. My home is my whole world because, quite frankly, I just don’t have the time or energy to leave it. The problem with being home ALL THE TIME is that you are staring at your home ALL THE TIME. You notice the chipped paint, the dated fixtures and the cobwebs. You suddenly have this overwhelming urge to update that 70’s fireplace or replace your carpet with hardwood. Every blemish and issue in your home becomes obvious because you stare at them all freaking day long! As much as I’d love to gut this place and start over from scratch, my husband is not as keen on the idea. So instead, I try and do small, inexpensive things to update my home. In our family room we have the worlds most uncomfortable furniture and now that I sit on it to feed Milo all day long, it has become even more apparent. A few years ago I bid on a sofa, chair and love seat set through an online auction. I won all three for $250! I was excited until I actually sat on them…they were hard wood slates covered with cheap foam and I was stuck with them! I wanted to replace them, but lets be honest, buying new furniture with little kids is like cutting off your nose to spite your face. It just doesn’t make any sense. Kids spill, they jump and they colour on your stuff. So, no new furniture for me…but I did convince my husband to let me buy some old furniture! I got this great sectional sofa that is SUPER comfy off Kijiji for $300. It was only a few years old and really good quality, but it was SOOOO stained (which is why it was so cheap). With just a bit of rubbing alcohol and some elbow grease I got it clean! Rubbing alcohol in a spray bottle is an amazing way to get your micro suede furniture and get it looking new again. Simply spray a small area evenly and them rub with a dry, clean cloth. Let it dry and be AMAZED! I had to to go over a few spots a few times, but now this sofa looks brand new and is just waiting to be ruined by my own children! A few new throw pillows and I turned a tired old piece of furniture into a new, fresh one! There are lots of ways to update your old and tired furniture! Of course cleaning it is the easiest and cheapest way, but there are lots of other ways too. Adding some new throw pillows to your sofa is my favourite way to completely change the look and colour! I have padded and covered an old, worn out coffee table with cotton batting and vinyl to make an ottoman for under $10. I have painted and changed the hardware on almost every dresser in my home. You would be amazed what a can of spray paint can do! I have recently learned how to antique wood furniture and it is so much easier than I could ever have imagined! 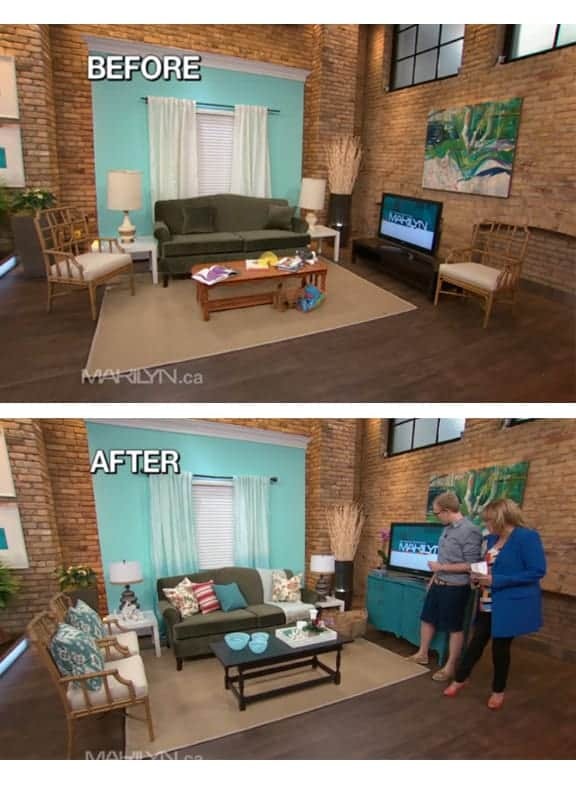 You may want new furniture, but why not first consider updating and reusing what you already have? Perhaps you could even find what you are looking for second hand and get something new-to-you while saving yourself some money! I’m not some tree hugging hippie, but I think we all could do a bit more “reducing, reusing and recycling”, especially when it comes to home decor. My favourite pieces in my home are the ones I lovingly brought back to life and rescued from the dumpster. They have character and I can take pride in knowing I fixed it, cleaned it or painted it myself! So before you head to your local furniture store, why not take a look around your home, thrift stores or online classifieds to see if you find something you can update or “upcycle” into something new for your home. Find a picture of what you want online and use that for inspiration. 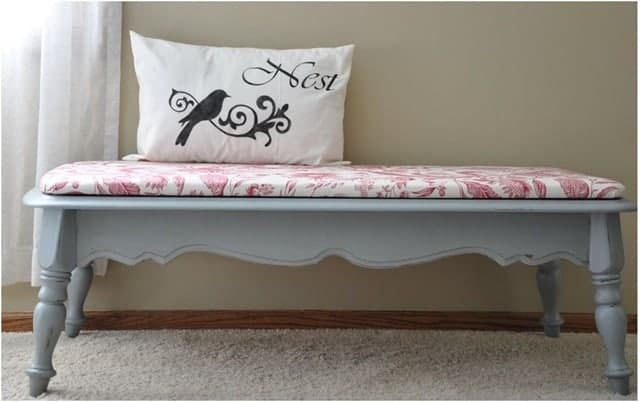 You may be surprised how much that old coffee table resembles that bench you want for your entrance way… a little paint and a cushion of top and VOLIA! 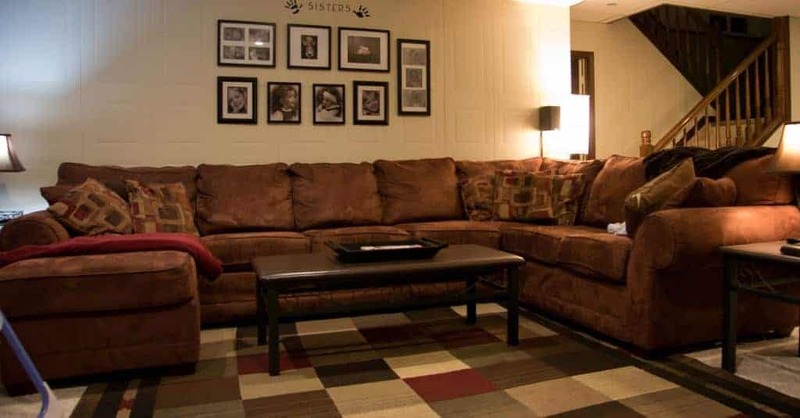 Or perhaps you, like me, imagine movie night with your family all cuddled together on a great big, comfy sectional. Save your $2000 and look for what you want in the classifieds! I am loving my new-to-me sofa and I’m loving that I got it for a steal! Mayo as a substitute for eggs!